The programs listed below offer assistance and addresses all three of these concerns express by producers, by providing capital to start or support farming or ranching operation, business and financial training to assist in managing the operation and support to young farmers and ranchers to help them get started and become profitable helping to attract the next generation into agriculture and helping our land become more sustainable. The FSA Rural Youth Loan Program providing access to capital, the program offers low interest loans to rural youth between the ages of 10-20 years old to establish and operate income-producing projects in connection with their participation in 4-H, FFA and similar organizations. The maximum loan amount is $5,000.00 and can be used to buy livestock, seed, supplies or buy, rent or repair equipment, and tools. Once the young person receives the funds they must be a part of an organized and supervised program of work designed to provide practical business and financial training. Young people that participate in the program are more likely to develop a fondness for production agriculture and an appreciation of the business of agriculture. More information on the Rural Youth Loan program as well as application forms can be obtained at http://www.fsa.usda.gov or contact your local Cooperative Extension Agent. Microloan is a program was developed to better serve the unique financial needs of small and family operations, beginning and socially disadvantaged producers. The program offers more flexible access to credit and will serve as an attractive loan alternative to small farmers facing limited financing options. The application process for Microloans is requires less paperwork. 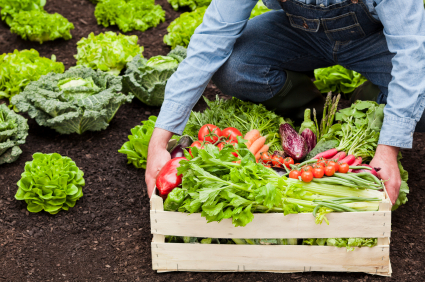 Microloans can be used for all approved operating expenses as authorized by the FSA Operating Loan Program, including Start-up expenses, seed, fertilizer, utilities, land rents, livestock, hoop houses and equipment. Applicants will need to show that they have business experience or be willing to follow a self-guided apprenticeship or mentor program. Eligible applicants may obtain loans for up to $35,000.00 at a very attractive interest rate. More information and application may be obtained at http://ww.fsa.usda.gov, or contact your local Cooperative Extension Agent. The three programs above were developed to increase and sustain the number of young people in agriculture. The key take home point for each of these programs is we must treat your farming or ranching operation as a business. The Cooperative Extension Program at Prairie View A&M University stands ready to offer producers the assistance they need to become successful. Please contact myself or one of our county staff for more information on our programs. This entry was posted on Wednesday, July 3rd, 2013 at 2:01 pm and is filed under Agriculture and Natural Resources, College of Agriculture and Human Sciences, General CEP News. You can follow any responses to this entry through the RSS 2.0 feed. You can leave a response, or trackback from your own site.